Move files between Google Drives of all types like images, doc files, videos, etc. To move Google Drive to another domain, Google Drive Migrator is found to be the most efficient software on CNET. 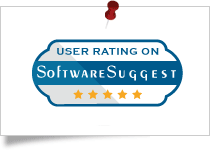 Among the numerous tools of SoftwareSuggest, Google Drive Transfer tool is considered as most reliable tool to migrate Google Drive to G Suite Google Drive. 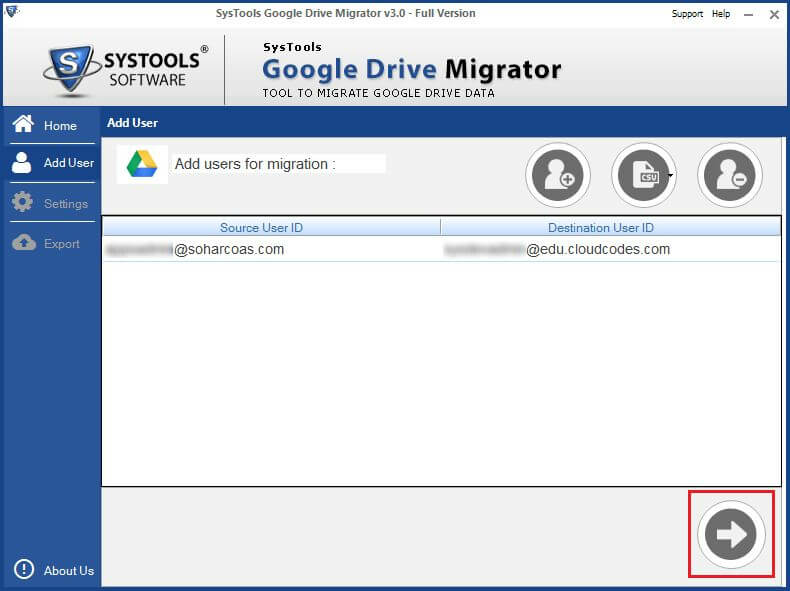 SysTools GDrive to GDrive Migration Tool helps resolve significant user queries related to transfer Google Docs to Google Drive. It helps users with non technical arena to easily move Google docs & files like PDF. images, documents, presentations, spreadsheets etc from one Google Drive to another. Moreover, it provides advantage for moving data for performing single migration & bulk user migration at a time. 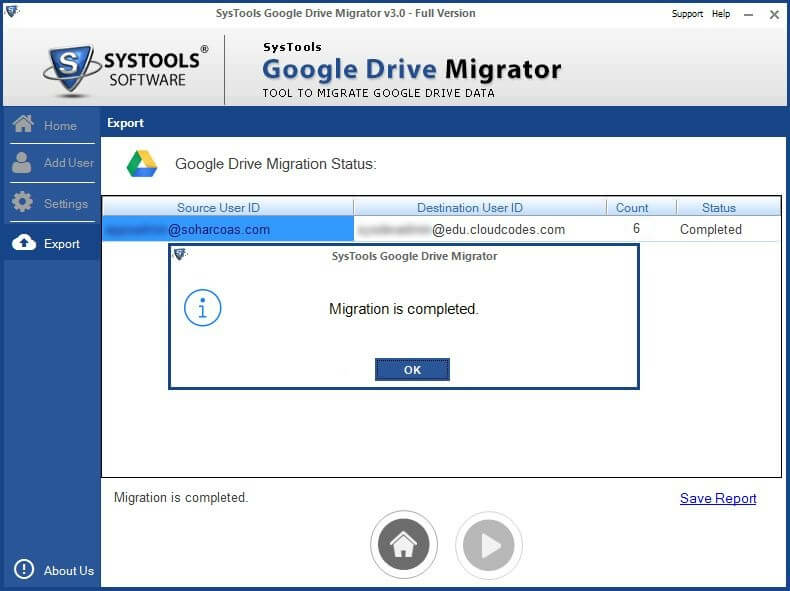 SysTools Google Drive Migration tool helps to move Google Drive to another Google Drive. The Simple UI of the Google Drive Copy Software lets to easily migrate Google Drive to another Domain. It also helps to transfer data items like PDF, Doc files, photos, videos, audio files, etc. from Google Drive to another drive/ Domain very easily. Edit : When migrate Google Drive to another Google Drive with this permission, a user is allowed to modify the content, accept or reject suggestions, and share it with any other user also. Comment : This permission let users add comments and suggestions, but not allowed to modify or share the file with others. View : This will only let users view the file, but cannot edit or share it with others after transferring data from Google Drive. Organize, add, & edit : After G Drive to G Drive migration, a user is allowed to open, edit, add, delete, or move files within the folder. View only : When move Google Drive folder with view permission, a user is allowed to see the folder and open all files within the folder. However, not allowed to perform any other action on it. 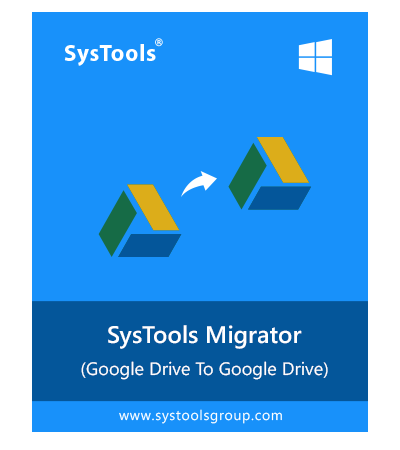 Google Drive Migration tool is designed in such a manner that it migrate Google Drive to another Google Drive very easily. A user is allowed to transfer multiple Google Drive storage at once also to save time. The tool copy all data items like photos, doc files, PDFs, videos, audio files, email clients data files, excel files, etc., maintained in Google Drive. After that, in destination drive, it saves the transferred data with the current date of migration. In addition, a user can copy all type of Google data from Google Drive i.e., Google Docs, Google Sheets, Google Slides, Google Forms, Google Drawings, Google Sites, Google Jamboard. The Google Drive Migration tool is designed in a way that in first attempt, it will migrate Google Drive to another Google Drive with all data. However, if a user attempt migration between the same drives again, it will perform incremental migration. It means the data that is once copied to Google Drive will not be transferred next time. Add User : Allows to add one user (source and destination ID) at a time to migrate Google Drive files to another Google Drive/ domain. Add CSV : Allows to directly add CSV file containing multiple user IDs at once to move multiple Google Drive to Google Drive in bulk. Remove User : Allows to delete already added source and destination ID from the tool while transferring files from Google Drive to another Google Drive. Admin Account : Using this option, a user can easily perform Domain to Domain migration. Before that, one needs to add source admin ID and destination admin ID and validate it first. Note : For validation, Add Scope first. Follow the steps discussed in the specification section. Individual User Account : Using this option, a user can perform three type of migration i.e., Gmail to Gmail, Domain to Gmail, and Gmail to Domain migration. In this, a user needs to enter username and password first for each account and authorize it. 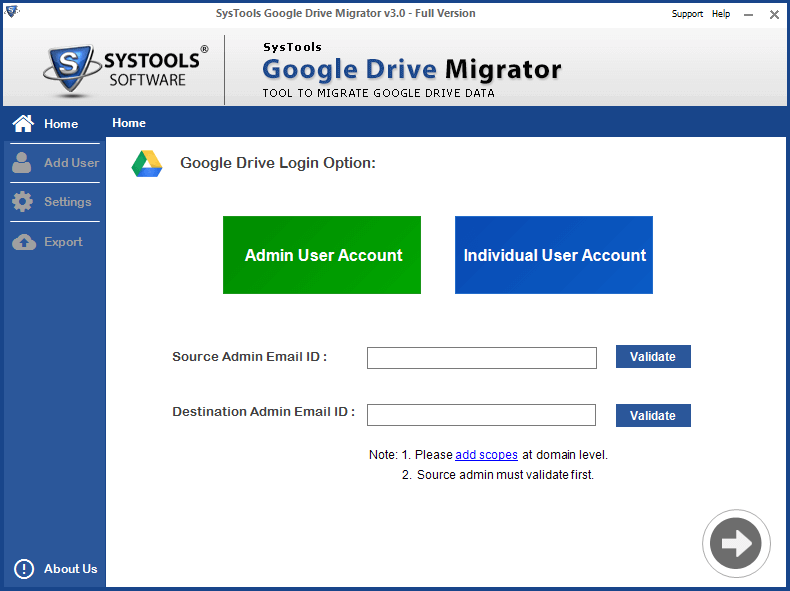 The Google Drive to Google Drive Migrator tool provides the provision of migrating permissions also that are applied on files and folders to another drive. The software is capable to transfer all permissions like edit, comment, view when a user move Google Drive data to another Google Drive. Either it is files permissions or folder permissions, the software will copy all of them in proper way without any hassle. Another option to customize Google Drive to Google Drive migration process is to move deleted items also to another drive. As a user check this option, the software will transfer Trash folder from one Google Drive to another. It does not maintain folder hierarchy and copy all data to a single folder. In addition, to make it is easily visible, it will create a separate folder with Trash name only. This alternative let users can get access to shared data also. When a user check this option, the software will transfer Shared with me folder from source G drive to destination G Drive. Moreover, at the destination location, it will create a new folder with same name i.e., Shared with me containing all files and folder. The software provides you an option to keep the folder structure intact as original when you migrate Google Drive to another Google Drive. It depends on the choice of a user, to maintain folder hierarchy or not. 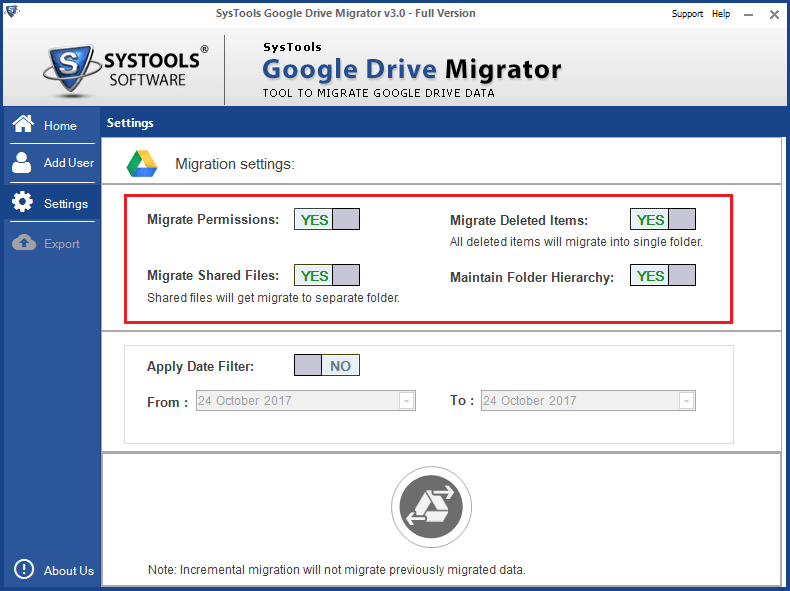 If this option remains unchecked during the migration process, the Google Drive Migration tool will create a single folder containing all files in it without any folder structure. In order to move files from Google Drive to another Google Drive within a particular date range, a user can go for date-based filter option offered by the Google Drive Migrator software. A user can specify a date range in the 'To' and 'From' the field, the tool will transfer only that specified data from one Google Drive to another drive /Domain, which falls under the specified date range. But, make sure that the tool supports only two type of date filter i.e., Date on which file is created and Date on which file is uploaded. As a user begin the transfer process, the Google Drive migration tool will display the on going progress report on the screen. However, if a user wants, then he or she can pause or resume the process in between in case of any interruption. Moreover, a user can stop the process in between also. In this case, only the files that were transferred from one Google Drive to another before tapping stop icon will be moved. Trial version of Google Drive Migration software will export only 50 items into another Account. Windows 2000, 2003, 2008, XP, Vista, Windows 7/8/8.1, 2008/2012 , Windows 10 (32-bit & 64-bit). Does Google Drive to Google Drive Transfer software migrate all permissions that are assigned to a particular .doc file? There are two DOC files in my Google Drive and I want to move files from Google Drive to another Google Drive. So, I just want to confirm, does this tool provide any provision to migrate all permissions also? Yes, Google Drive Migration tool renders users an option to transfer permissions while you migrate Google Drive to another Google Drive. If a user wants to move permissions also, then one can enable the Migrate Permission option. Does Google Drive Migration tool copy failure items in the case of re-migration? I tried to move files from one Google Drive to another. But due to some Internet connectivity issue, it did not export complete data. It also provided some fail count. So, I just want to know does the software migrate these items which failed to transferred in the first attempt during the re-migration? Yes, the application will copy only failed items in the case of re-migration. It does not copy already transferred Google Drive data to the same destination drive. It is because the Google Drive Migrator tool supports incremental migration to move Google Drive to new Domain. Is it possible to add multiple source and destination user IDs at once to the application? I want to add total 10 different source and destination user ID to the software, which takes lots of time if done one by one. Therefore, I want to know if there is any feature available to add all of them at once to migrate Google Drive to Google Drive.? Yes, a user can easily add multiple user IDs at once to transfer folder from one Google Drive to another drive using Add CSV option offered by the application. In this, a user can directly upload CSV file containing multiple source and destination IDs in it to copy file from one Google Drive to another Domain. Is it necessary to Add Scope in the case of using Admin Account to copy files between Google Drives? Yes, it is mandatory to add scope while migrating Google Drive through Admin account. Otherwise, it will not validate the Admin Account ID and you will not be able to move folder from one Google Drive to another. Does Google Drive Migrator maintain Google Drive folder structure while transferring files from one G Drive to another? Yes, the Google Drive copy tool provides users an option to maintain folder hierarchy at destination drive after we migrate Google Drive to another Google Drive. Does the software transfer Shared With Me folder also from Google Drive to Google Drive? Yes, to transfer Shared with me folder from one Google Drive to another drive, simply check Migrate Shared Files option. The tool will create a separate folder with the same name in the destination drive. Is it possible to move Trash folder also between Google Drives? Yes, when you check Migrate Deleted Items option while migrating Google Drive data, the tool will transfer Trash folder as a separate folder with same name. Can I use this tool to migrate data from G Suite Education accounts also? I tried this Google Drive Migrator application to migrate Google Drive to another domain and I must say that it is an amazing application with so many advanced options to move files between Google Drives. The best part about this tool is that it provides 4 different option to transfer Google Drive storage to another drive based on our choice. According to me, it is the best utility to copy Google Drive to another Domain without any hassle. The interface of this Google Drive Exporter tool is very simple and easy-to-use. It does not require any expert help to move data from Google Drive to Google Drive using the Google Drive Transfer application. All the steps are self-explanatory due to which it becomes more easy to run the application. Great work done by the developers in developing such an amazing utility to migrate Google Drive to G Suite Google Drive. I am definitely going to suggest this fabulous Google Drive to Google Drive migration application to my friends. I never thought that the task to transfer Google Drive files to new drive would be so easy. Thanks to the developers for developing this application. Hope to see some more exciting products like this by you in future. I used this tool to copy data from one Google Drive to another and was amazed by the simple interface of this tool. It was really easy for me to move Google Drive folder to another Google Drive without any hassle. The Google Drive transfer ownership of all files from my one Google Drive to another was made easy by this tool. Google Drive Transfer tool helped me to copy files from Google Drive to another Google Drive including my shared files and documents. I could easily migrate Google Drive to Google Drive using this utility. I am really happy with the working of this tool and I will recommend this tool to everyone who are in need to move documents from one Google Drive to another. 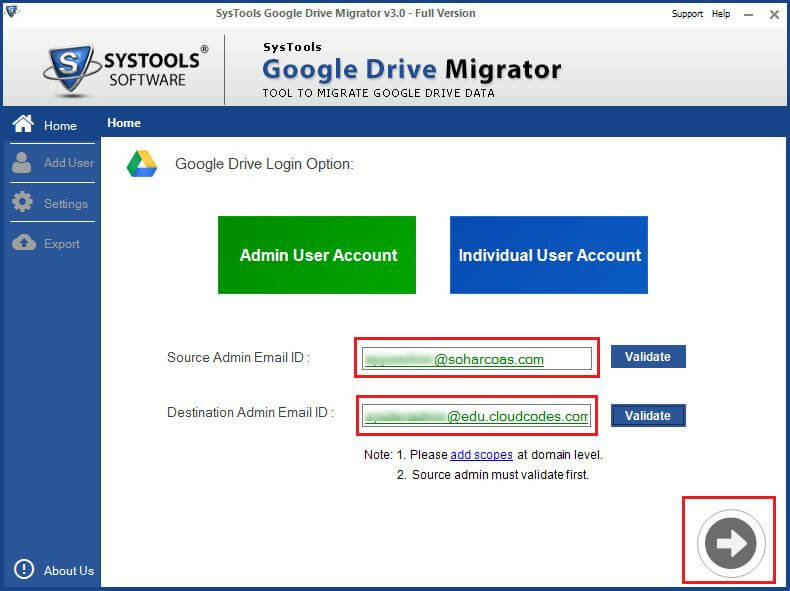 Step 1: Download Google Drive to Google Drive Migration Tool, Then add the Credentials for Admin or Individual User Account.